CWI, CWI. (2015). 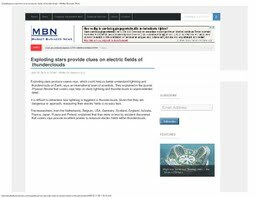 Exploding stars provide clues on electric fields of thunderclouds - Market Business News.